Happy Monday!! 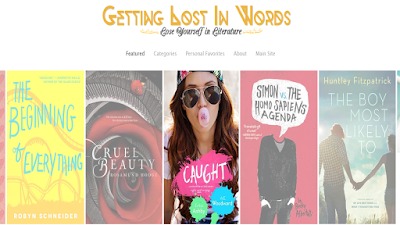 We wanted to introduce you to the newest (most updated) addition to the Getting Lost in Words family. A few years ago, an awesome subscriber suggested a recommendation site, so we sought out to create the ultimate platform for recommending books. We fashioned our old recommendation site through Google and while pretty, the functionality was somewhat...limited. Today, we're proud to unveil our updated recommendation site, provided through Wix. We're super excited about the product, so we hope you enjoy! Like the old site, we've created several categories, which can be seen down below. Feel free to explore yourself. We've provided the link on the main navigation bar at the top. If there's another feature you'd like from us, please email us. We love talking and listening! Thank you for all the support you've provided for us so far.